Here's a list of Chapter 3 - Middle Of Knowhere Task Missions that you need to complete in order to Master the Chapter. You may also use the Chapter 3 Missions and Stages below as your reference for finding locations of certain enemies or villains. - The free Hero Reward for Mastering Chapter 3 is Nebula. - Task: Defeat Kree Soldiers in Mission 3.1, 3.3, or 3.5 (25 Times). - How to Complete: Enter "Kree Empire" stages and defeat them. - Task: Win a fight using only Buffs, Debuffs, and Counter-Attacks (3 Times). - How to Complete: Create a strike team that only uses Counter Free Attacks, Buffs and Debuffs (Hero Switch, and Recharge or Tactical Abilities are ok to use), then Enter Mission 1. Choose any stage and defeat ALL WAVES without using any active attack abilities. - Example Heroes with Counter Free Attacks: Hawkeye's Fire Support, Luke Cage's Steel Cage + Tactical Skill, Black Panther's Tactical Skill, Vision's Holographic Projections, Iron Fist's Lvl 20 Innate Skill, and more. - Note: For your other core damage dealer heroes, you can equip them with Coordinated Iso-8 Set to do counter attacks when an ally is attacked. - Task: Defeat Tanalth the Pursuer in Mission 3.1. - Task: Defeat Kronan using Bruisers in Missions 3.2 or 3.4 (5 Times). - How to Complete: Mission 2 stages should be enough, just let your Bruisers deal the last hit to make it count. Either use your own hero, or team-up heroes. - Task: Defeat Kronan Boulders in Missions 3.2 or 3.4 (10 Times). - How to Complete: Completing Mission 2 should be enough for this. - Task: Defeat Sakaaran Drones in Missions 3.2 or 3.4 (25 Times). - How to Complete: Enter "Ravagers" stages and defeat them. Note that you can continue this task under Hard Mode to save Energy. - Task: Attack Sakaaran with Sharp attacks in Mission 3.2 or 3.4 (5 Times). - How to Complete: Enter "Ravagers" stages and attack them using abilities with Sharp "Attack Type Tags". Some of the common heroes are: Gamora, Black Panther, Moon Knight, and more. - Task: Defeat Yondu in Mission 3.2. - How to Complete: Defeat the 2nd Mini-Boss in Mission 2. - Task: Attack Titus with Energy attacks in Mission 3.2 or 3.4 (3 Times). - Task: Defeat Titus in Mission 3.2. - Task: Defeat a Kree Sentry with an Infiltrator's attack in Mission 3.3 or 3.5. - How to Complete: Defeat the Mini Boss-Kree Sentry Robot in Mission 1 or 3 but make sure that your Infiltrator will take the last hit. - Task: Defeat Kree Sentries in Missions 3.3 or 3.5 (3 Times). - How to Complete: Defeat the Mini Boss-Kree Sentry Robot in Mission 1 or 3. - Task: Defeat Korath the Pursuer in Mission 3.3. - Task: Defeat Badoon Brothers in Missions 3.2, 3.4 or 3.6. - How to Complete: Enter "Church of Truth" stages and defeat them. Just normally complete Chapter 3 Normal Mode. - Task: Defeat Cardinal Raker in Mission 3.4. - Task: Use Ranged attacks against Cardinal Raker in Mission 3.4 (3 Times). - How to Complete: He is the final Boss in Mission 4, just use abilities with Ranged "Attack Type Tags". - Task: Defeat Ronan the Accuser in Mission 3.5. - Task: Apply Demoralized and Stumbling to Ronan in Mission 3.5 (1 Times). - How to Complete: You can check Heroes with Demoralized Effect here: Mental Debuffs List. Check Heroes with Stumbling Effect here: Tactical Debuffs List. Either use your own hero, or team-up heroes. - Task: Defeat the Magus in Mission 3.6. - Task: Defeat Wraith in Mission 3.2. - How to Complete: The description is wrong, defeat him in Mission 4, the 1st Mini-Boss that you'll encounter. Note: Once his Exolon Reconstruction buff kicks in, do not attack him, wait until it's duration ends then attack. You can check the duration by checking his stat info (Tap+Hold). - Task: Defeat Chitauri Legoinnaires in Missions 3.2 or 3.5 (25 Times). - How to Complete: Enter "Minions of Thanos" stages and defeat them. Note that you can also find them from Normal Mode, but better complete all stages here first before re-launching Mission 4 Stage 1 in Normal Mode to save energy. 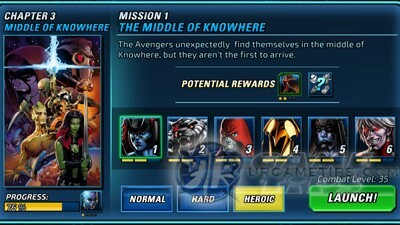 - Task: Defeat 3 Chitauri with a single attack in Missions 3.2 or 3.5. - How to Complete: Go and reach Mission 2 Mini Boss-Minions of Thanos to find 3 Chitauris in the first wave. Bring all of their HP to below 25%, then hit them with a strong AoE attack like Hawkeye's Multi Arrow, Rocket Racoon's Sphaleron Launcher, and more. - I highly suggest at least a Lvl 30 3-Stars Wasp with 3 or 4-Stars Queen Bee, Stinging Barrage, and Bioenergy Blast. Reach at least 5,000 Evasion, and 3000 Speed. For the other stats, aim for at least 2500, except for Attack (optional). - The other 2 heroes can be any Lvl 30 decent heroes, preferably with a good survivability and damage output to at least survive the first few attacks before you can start Wasp's Queen Bee ability ("just in case"). Aim for 2500+ to all stats, especially Health. - Recruit a Team-Up hero with Evasion and/or Speed as Leader bonus if you need more buff for Wasp. - Maintain Wasp's protecting skill, track it's duration, and attack or recharge wisely. Always use Queen Bee before recharging. - If you have Healers, you can also put them as reserves for now, then swap them after activating Wasps' Queen Bee. Defeat enemies that can use AoE attacks first. - Since most of Wasp's abilities are Shock attacks, it is also a good idea to create a Static Shock Team. Check Heroes that can inflict a Static Shock debuff here: Physical Debuffs List. Either use your own hero if you have, or add more allies and use them as team-up heroes. 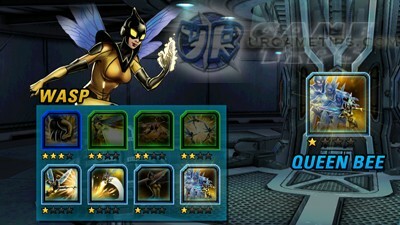 - Get or add at least 1 Hero to utilize Wasp's Shock attacks. - Task: Defeat the Epic Boss Magus in Mission 3.4. - How to Complete: Mini Boss Wraith can inflict Necrosis debuff to your team but it can be removed by using Iron Fist's Healing Lotus for example. - How to Complete: The Magus is almost immune to Mental debuffs, but using some is still recommended because, if you let him stack Cosmic Energy, his stats will also increase especially Accuracy that will hurt your Wasp. Good thing Wasp has demoralized, use it to force him to consume his Cosmic Energy to remove Mental debuffs and to prevent his AoE attacks. - Example Team: Wasp + Iron Fist (or any decent healer) + DPS hero (preferably a Static Shock hero). - Task: Defeat Epic Boss Nebula in Mission 3.5. 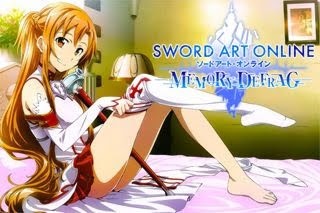 - How to Complete: Looks like she can be defeated by any teams with a Healer. - Task: Complete all Mission in Chapter 3 on each difficulty. 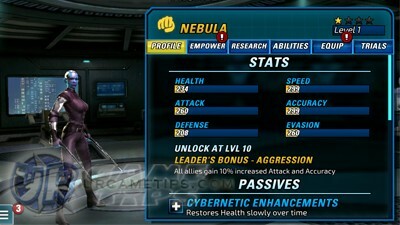 - Nebula is also a pretty good hero for Static Shock teams.